Intravenous is a medical term referring to entering the body through a vein. 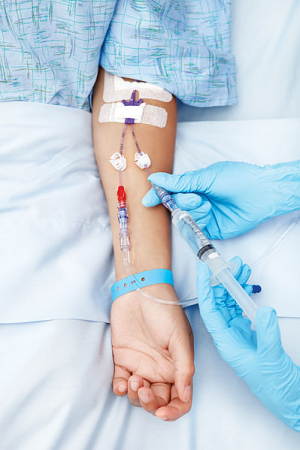 In hospital settings, patients who are severely dehydrated or who have have difficulty eating or digesting can be fed intravenously by a tube inserted into a vein. http://www.merckmanuals.com/home/disorders_of_nutrition/nutritional_supp..., accessed November 19, 2014."